Investing.com – Indonesia stocks were lower after the close on Friday, as losses in the Basic Industry, Trade and Infrastructure sectors led shares lower. At the close in Jakarta, the IDX Composite Index fell 0.01%. The best performers of the session on the IDX Composite Index were Jakarta Kyoei Steel Works Tbk (JK:JKSW), which rose 34.83% or 31 points to trade at 120 at the close. Meanwhile, Steadfast Marine PT (JK:KPAL) added 24.54% or 80 points to end at 406 and Betonjaya Manunggal Tbk (JK:BTON) was up 24.41% or 62 points to 316 in late trade. The worst performers of the session were Sidomulyo Selaras Tbk (JK:SDMU), which fell 30.54% or 51 points to trade at 116 at the close. Pelayaran Nasional Bina Buana Raya (JK:BBRM) declined 17.46% or 11 points to end at 52 and Multifiling Mitra Indonesia (JK:MFMI) was down 17.42% or 135 points to 640. 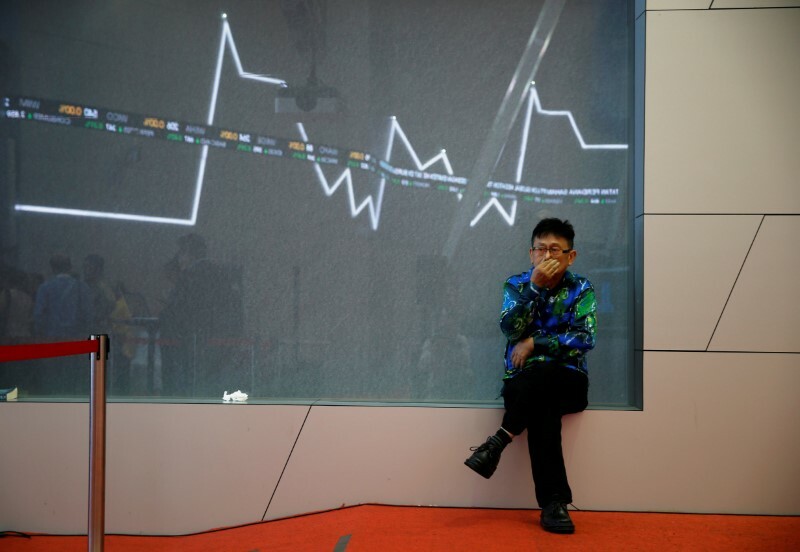 Falling stocks outnumbered advancing ones on the Jakarta Stock Exchange by 256 to 131 and 116 ended unchanged. Shares in Sidomulyo Selaras Tbk (JK:SDMU) fell to all time lows; losing 30.54% or 51 to 116. Shares in Steadfast Marine PT (JK:KPAL) rose to all time highs; rising 24.54% or 80 to 406. Shares in Betonjaya Manunggal Tbk (JK:BTON) rose to 3-years highs; up 24.41% or 62 to 316. Crude oil for August delivery was up 1.25% or 0.82 to $66.36 a barrel. Elsewhere in commodities trading, Brent oil for delivery in August rose 1.60% or 1.17 to hit $74.22 a barrel, while the August Gold Futures contract rose 0.02% or 0.20 to trade at $1270.70 a troy ounce. USD/IDR was up 0.05% to 14098.5, while AUD/IDR fell 0.31% to 10382.00. The US Dollar Index Futures was down 0.26% at 94.29.